This is a cute backpack deal and looks like it could be really handy. 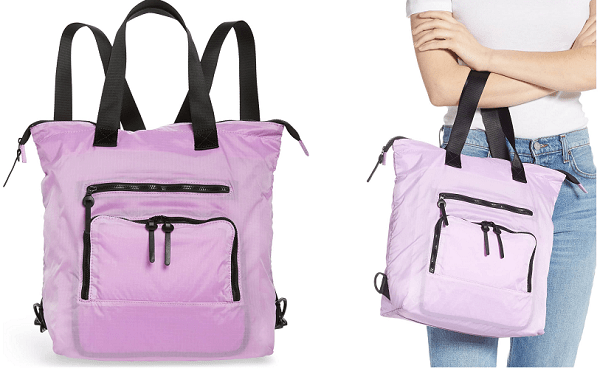 Nordstrom has this Packable Convertible Backpack for $29.98. That is down from the normal price of $49.99, for a 40% savings. Plus it will ship for free, as all orders from Nordstrom.com do. A lightweight, versatile travel bag in durable ripstop neatly packs into a slim top-zip pouch—perfect to slip into your suitcase as a spare bag. A variety of handles give it the functionality of both a tote and a backpack.